If you’re not familiar with the name Gaia Weiss, you’ll know it soon enough. She’s the gal Kellan Lutz lusts after in “The Legend of Hercules,” hitting theaters Jan. 10. And it’s no wonder. I mean, just look at the leggy (she’s nearly 6-feet tall!) blonde — she’s hot. But the French model and actress is also more than meets the eye. Find out in our roundup below which member of the Gryffindor Quidditch team Hollywood’s hottest new up-and-comer is dating, or how she got bloody knuckles. 1. Girl’s not afraid to get down, especially while trying on a pair of jeans. She once broke out her best zombie claw moves to Michael Jackson’s “Thriller” while in a clothing store’s changing room. Classic Gaia. 2. 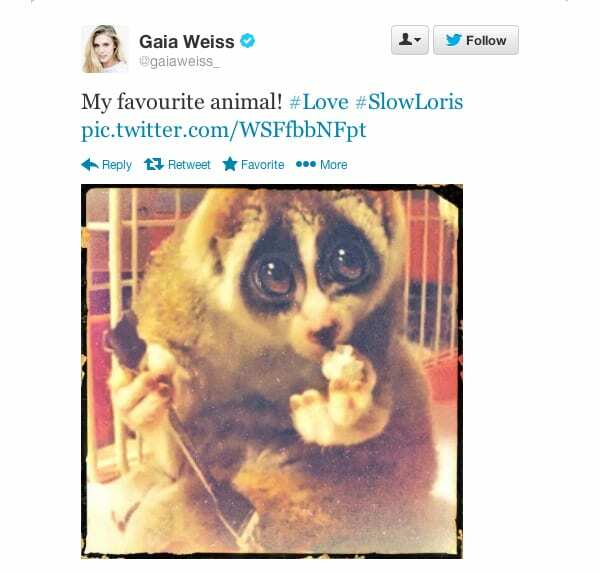 Like Rihanna, Gaia’s favorite animal is the slow loris. Who wouldn’t love a fluffy, puppy-dog eyed endangered animal that also happens to be the world’s only poisonous primate? True fact. 3. The 22-year-old beauty is one tough chick. 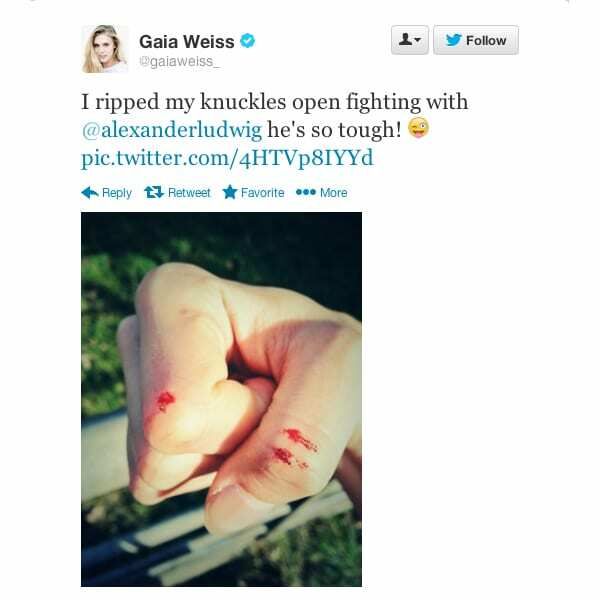 She ripped her knuckles open fighting with “The Hunger Games’” Alexander Ludwig during the season two filming of History’s “Vikings” drama series. You’ve gotta respect a girl who’s not afraid to get bloody. 4. 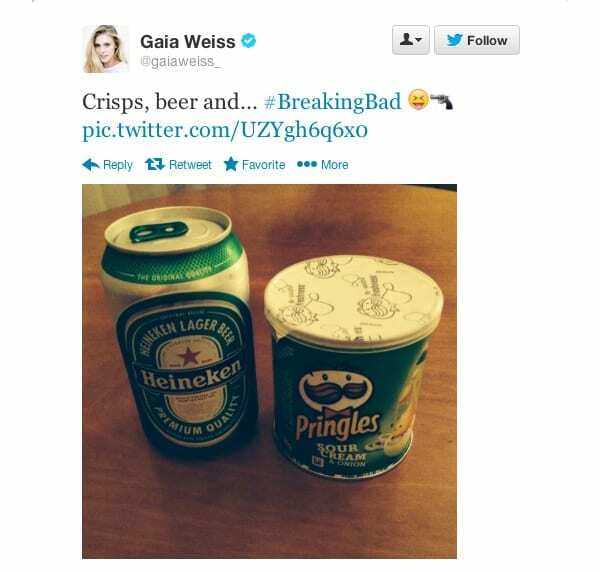 The Paris-born model’s a “Breaking Bad” fan. She prefers to watch the show while gulping down Heinekens and gorging on Sour Cream Pringles. She could be our new best friend. 5. Sorry, Gaia’s taken. Her beau is the captain of the Gryffindor Quidditch team—well, the guy that played him in “Harry Potter”—Sean Biggerstaff. And apparently he’s an amazing cook. “The Legend of Hercules” is out in theaters Jan. 10. Check out the latest trailer, and get all the exclusive details on the anticipated blockbuster.